One of the better features of Roku’s Android and iOS app is the ability to use your mobile device as a remote control. This can be immensely helpful in the event you accidentally break or somehow permanently misplace the physical Roku remote. Now, thanks to a new update rolling out today, the Roku mobile app is more versatile than ever. As TechCrunch recalls, the pre-update app offered a simple interface with vertically-aligned buttons for search, remote, “My Feed” (essentially a “favorites” section), the Channel Store and “Play on Roku” which facilitated casting from a mobile device to your Roku-connected TV. With the update, Roku has relocated the app’s buttons such that they’re now positioned horizontally across the bottom of the screen. The buttons themselves have changed as well, replacing the aforementioned ones with Channels, What’s On, Remote, Photos+ and Settings. There’s also less friction when it comes to finding and subsequently watching a program. When the app launches, you’ll be presented with a list of channels currently installed. Simply tap on the one you want and it’ll open right away; the app will automatically switch to the remote control interface. The “What’s On” is a new entry that effectively replaces “My Feed,” making it easier to keep up with content you’re interested in. The older option, which is still available near the bottom of the “My Feed” section, was useful for those that took the time to curate content they wanted to watch. “My Feed,” however, is said to be more of a generalized list of suggestions. 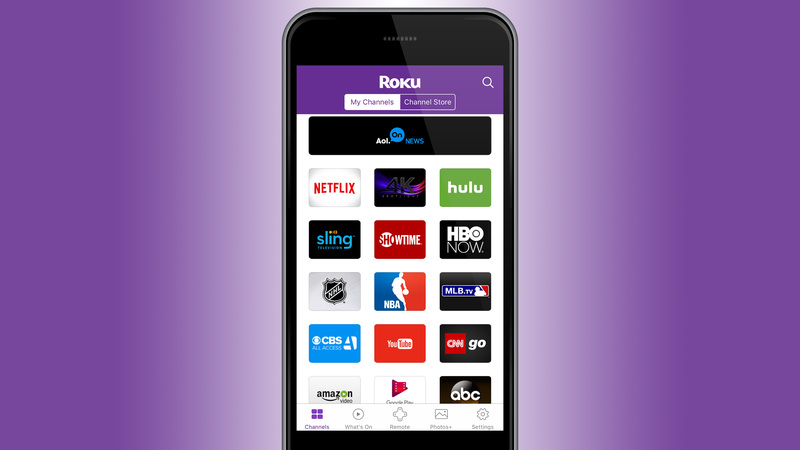 The latest version the Roku app (version 4.0.0) is available as of writing via the App Store for iOS and Google Play for Android users.